In the wake of political crisis in the Northern Provincial Council, what will be the future of politics there? The Tamil people of this beautiful country always visualised Mother Lanka as a mother with two eyes, namely Tamil and Sinhala languages and with four limbs namely Buddhism, Hinduism, Islam and Christianity. But we were marginalised and humiliated to such an extent since independence by the successive Sri Lankan governments due to their communal and majoritarian politics, we had to wage a struggle to win over our legitimate rights, dignity and self-respect. Various organisations joined in this struggle and it finally culminated in the Indo-Sri Lanka Peace Accord (of 1987) ushering in 13th Amendment to the Constitution, establishing Provincial Council system, devolving power to the provinces. 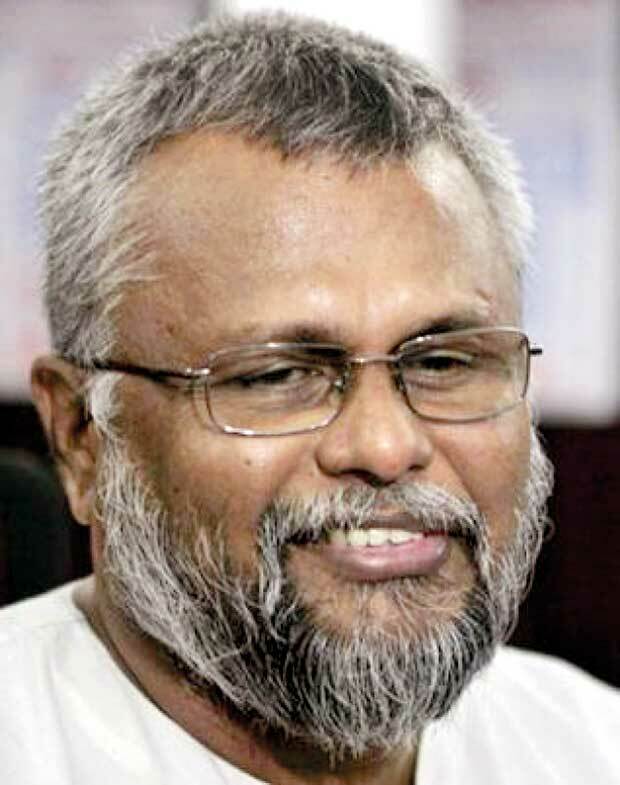 "The ITAK was founded on the platform of Tamil nationalism. They always considered themselves to be the sole representative of Tamil nationalism and branded all those who opposed them as traitors." There are different views about the Provincial Council system. How do you see it? Unfortunately the Tamil people of the north-east do not fully enjoy the benefits of this devolution, whereas the rest of the country is fully enjoying it. After the Provincial Councils came into operation, the LTTE reneged on it resuming their armed struggle leaving the long suffering Tamil people in the lurch and misery. The Tamil politicians, who assumed power at the Provincial Council elections since 1988, were so incompetent and rudderless. They soon squandered the goodwill of the Tamil people and lost their trust. The administrations of the North and East Provincial Councils can only be summed up as lame ducks. No concrete development works have been carried out up to now. All development works initiated by the Central Government have been deliberately stalled such as 65 thousand housing scheme for the homeless and IDPs, Vavuniya Economic Centre, several desalination projects, Iranaimadhu Drinking Water Scheme for Jaffna peninsula and so on. The dengue epidemic is on the upswing and garbage is piling up all over the province but the provincial administration is nowhere to be seen. They are incapable of doing anything except lining up their members’ pockets. What do you think of the TNA leadership? The TNA leadership’s idea seems to be to keep the Tamil people in medieval condition without any modern development and in ignorance, so that they can be their political leaders forever. They are like the proverbial dog in the manger. This is because the ruling TNA is not competent and not willing to co-operate with the Central Government in implementing the devolution package granted to it in full under 13th Amendment. Over a thousand Tamil youth paid with their lives to get this Provincial Council system into our statutes. Among these youth nearly half were killed in fratricidal fights. But LTTE first having accepted the peace pact, shortly thereafter renounced it and reverted to their old destructive armed warfare resulting in their debacle and demise causing tens of thousands of civilian deaths and utter destruction to their properties. Northern Provincial Councillors should not forget and betray the supreme sacrifices made by the Tamil people and their political organisations. They should respect the trust reposed on them by the Tamil electors and should not abuse it. Otherwise they would find themselves in the dustbin of history. When the next election comes the people will teach these politicians a fitting lesson for their betrayal and misconduct. In democracy, the people are the final arbiters of their own destiny. Let’s not forget this cardinal truth. Northern polity has now been polarised into three camps-namely Tamil nationalists, ultra-Tamil nationalists and pragmatists. Here the nationalist camp consist of ITAK and their associates, the ultra-nationalists consist of All Ceylon Tamil Congress and its cronies, the pragmatists and realists consist of EPDP and its allies. "Unfortunately the Tamil people of the north-east do not fully enjoy the benefits of this devolution, whereas the rest of the country is fully enjoying it. " The ITAK was founded on the platform of Tamil nationalism. They always considered themselves to be the sole representative of Tamil nationalism and branded all those who opposed them as traitors. They even boasted on their political platforms that Tamil traitors would not have natural death and wished that their political opponents would be liquidated thereby encouraging Tamil youth on the path of terrorism and finally to their annihilation. Now, they are being outmaneuvered and outwitted in their own game by the ACTC and its cronies. ITAK instead of enlightening, educating and empowering the Tamil people is leading them again to their doom and hell. ITAK is choreographing a political tragedy for the long suffering Tami people by their unending political antics and comedy. Of course, it’s high time for an alternative political leadership to come to the fore to save the Tamil people from this impending and self-inflicted disaster. That leadership should work on a mission mode with an enlightened vision and indefatigable passion. Otherwise, nobody can redeem the Tamils from their present abyss into which they have been pushed by the self-seeking, incompetent and farcical ITAK politicians. When the next elections are called they can decide their own destiny by exercising their democratic voting rights to elect a decent, dignified and competent political leadership to lead them to prosperity and security. The recent MPCS elections in the North are an eye opener because the people have thrown out corrupt members and have elected new members with impeccable characters. Nallur MPCS election is a good illustration for this trend and new phenomenon. Finally people seem to recognise the good people from the bad and the corrupt. It’s a good development indeed. What is EPDP’s assessment of the political situation in the whole country? The unity government was elected on the promise of good governance. On this score some progress has been made but still a long way to go. The people can now freely protest and express their grievances on the streets without fear and intimidation. But the country is staring at a looming debt trap because of the folly of our politicians. Reserves are dwindling, exports are declining and debt servicing has become unbearable. Only tourism and construction sectors seem to be doing fairly well. This government came to power on the promise of eradicating corruption but it still remains endemic. This curse of corruption has to be exorcised and banished from the face of our motherland forever if our country is to become prosperous. The Unity Government stakeholders should put aside their petty whims and quarrels and stop trying to score brownie points over each other but instead should put their minds together and act in unison to take the country forward towards the prosperity which it rightfully deserves. The government should embark on a plan of action to double our national income thereby taking our country into the upper middle income country in a decade. SAARC should be converted into South Asian Economic Union. ASEAN could also be roped in. 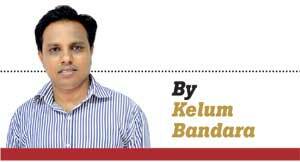 A new Bay of Bengal or Bay Economic Union consisting of SAARC and ASEAN could be worked out. All avenues for increasing our trade with our neighbourhood should be explored. In this globalized world protectionism does not offer protection to any country. Trade and export are the sure paths to prosperity and riches. Throughout human history only trading nations had been rich and powerful. The EPDP was unable to secure enough seats in the North at the last election. What are your plans to revitalize the party? Our party’s performance at the last election was not to our expectation. We were very disappointed indeed. We appointed a high level committee to find out the reasons for this under performance. They have come out with their reasons and remedies for them. One of the major reasons was our party’s tremendous work in serving the people was not adequately highlighted during the election by our candidates and speakers. We were not articulate enough in conveying our achievements to the electorates. Our grassroots level organisations have been reorganised and invigorated. Grama, Divisional, District, Provincial and National level committees have all been thoroughly reorganized and reprogrammed. All the shortcomings of the last election have been remedied and now we are fighting fit to face any electoral challenges that may come in the future. "Federal Constitution was first mooted by ...S.W.R.D. Bandaranaike long before the independence as a viable political model for Sri Lanka. Ironically, it was spurned and rejected by the Jaffna Tamil political elites..."
How hopeful are you of a political solution through the current constitution making process? The Unity Government is in the process of drafting a new Constitution. I, myself, am a member of the steering committee of this process. It is hoped, nationally and internationally, that it would provide a political solution to the Tamil national question once and for all. This process has big hurdles to cross before becoming operational. Whether it would see the light of the day, nobody knows. But our Prime Minister is doing his upmost to get the new Constitution passed and into operation as soon as possible. If a political solution is achieved through a new constitution it is to be welcomed by all. We, on our part, sincerely and earnestly hope and expect for this process to succeed. In this constitution making process the TNA also should play their role very constructively and should not allow any room for misunderstanding between the two major communities. It’s a tight rope walking indeed and I hope and wish that TNA leadership should not mess it up. How satisfied are you about the progress achieved on the ground in the north under the new government? Under this new Government the democratic rights of the people seem to have been restored to a reasonable level. People seem to protest openly and freely on the streets without fear and intimidation. But no dent had been made on the youth unemployment front leading youth into drugs, crime and other vices. The release of lands from the security forces have continued as before in the previous government but still more needs to be done on this problem. On the release of political prisoners and finding a solution to the missing persons issue the movement forward have been stalled. Government should redouble their efforts on these problems and break the impasse. If the Northern Provincial Council had done its work to the fullest the problems faced by the northerners, such as youth unemployment, land retrieval, garbage disposal and dengue eradication, would have been solved to a great extent. They seem to be incompetent, uninterested and unwilling. Their only interest seems to be enriching themselves. I sincerely feel if the Unity Government sets its mind on these matters very seriously and earnestly all impediments will be overcome. They should try their best for the sake of the peace achieved at great cost. Recently, the EPRLF leader Suresh Premachandran spoke of a new leadership for Tamils. He hinted that Chief Minister C.V.Wigneswaran should take over it. What is your view? Talking in ultra-Tamil nationalistic rhetoric and whipping up Tamil nationalistic sentiments have become the easiest ways of staying relevant in northern Tamil politics. It has been perfected into a fine-art among the Tamil polity by ITAK and their cohorts. The same phenomenon obtains in the south as well. As the adage says “Patriotism is the last refuge of the scoundrels”. Here I would like to say that to be a Sri Lankan we need not lose our Tamil identity, similarly to be a Tamil we need not lose Sri Lankan identity. That is we want to be Sri Lankan and Tamils at the same time. It’s not a tall order. A new political leadership for the Tamils is needed at this juncture, indeed. It should shun communal politics and wean away the people from it. It should unite the people behind a political program which should be reasonable, realistic and actionable for a just and honorable political solution to the long suffering Tamil people. "I take this opportunity to call upon the Diaspora to close ranks and unite and not to betray the supreme sacrifices made by our people. " The demand for a Federal solution has been there for more than half a century. Yet, it has become unrealistic so far. Do you think it is feasible to achieve a Federal solution in Sri Lanka? A Federal Constitution for Sri Lanka was first mooted by the late Prime Minister S.W.R.D. Bandaranaike long before the independence as a viable political model for Sri Lanka. Ironically, it was spurned and rejected by the Jaffna Tamil political elites at that time. The country is now paying the price for this folly of rejecting S.W.R.D’s farsighted and enlightened proposal. Much water has passed under the Kelani Bridge since then. There is not much point in juggling with the terminology at the moment. We should stop splitting hairs over these terms. The science of semantics is not going to lead us anywhere. Substance is more relevant than the wrapping. We can begin with the 13th Amendment which is already in our statutes. The citizens, both in the north and the south are enjoying the fruits of it. Of course, it has its limitations and shortcomings. Let’s first implement the 13th Amendment fully in letter and spirit. In the light of the experience gained in working it out and with the trust and harmony among the communities strengthened it can be further improved upon for the betterment of our motherland. Now let’s start with what we have. A bird in hand is worth two in the bush. The proposals which are put forward to find a political solution should be realistic and attainable. I am very confident that a political solution acceptable to the whole country is feasible indeed. What is your opinion on the role of Tamil Diaspora at the moment? Tamil Diaspora has been at the forefront of the struggle to win over the legitimate rights of the Tamils in Sri Lanka from the beginning. Whether their role has been constructive or destructive has become an unending, animated and emotional debate. Whatever it is, we hope and wish that their future role should be constructive. Now the civil war is behind us and the door is wide open for a positive role to be played by the Diaspora. They should use their energy and resources to lift the Tamil people out of their present misery and make them rise up from the ashes like the mythological Phoenix. It is high time we prove to the world that we Tamils are a resilient people indeed. I take this opportunity to call upon the Diaspora to close ranks and unite and not to betray the supreme sacrifices made by our people. They should use all their might at their disposal to peace building and nation building and put our motherland at the forefront of the comity of nations. I sincerely hope the Diaspora rises up to the occasion.
" No concrete development works have been carried out up to now. All development works initiated by the Central Government have been deliberately stalled..."
very well thought forecast. We like you taking charge of Northern Politics.